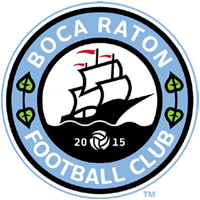 Boca Raton Football Club and Coritiba Foot Ball Club have began talks regarding a possible partnership between the two clubs. The partnership is still being discussed by both teams but in its early stages it will be a partnership in which both clubs send players to each other in an “exchange” program. Coritiba’s general manager, Mario André Mazzuco has visited Boca Raton and spoke with Boca Raton FC’s President Douglas Heizer, and Director of Communication Pedro Heizer regarding possible partnership deals. Founded in 1909, Coritiba is the oldest football club in the state of Paraná, Brazil. Coritiba has won the State Championship 37 times – more than both of its two main rivals combined (Atlético Paranaense has 22 titles and Paraná Clube, 7). Coritiba has won the Brazilian Championship once and the club holds the world record for consecutive victories in all competitions, winning 24 matches in a row between February and May, 2011. The “Coxa” is currently playing in Brazil’s first division, Campeonato Brasileiro Série A, which is commonly referred to as Campeonato Brasileiro. As part of the initial partnership, Coritiba will be present at Boca Raton FC’s open tryouts on September 12 with its developmental team coaching staff, and will look at possible players that the club could use in Brazil.